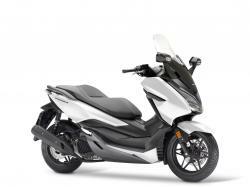 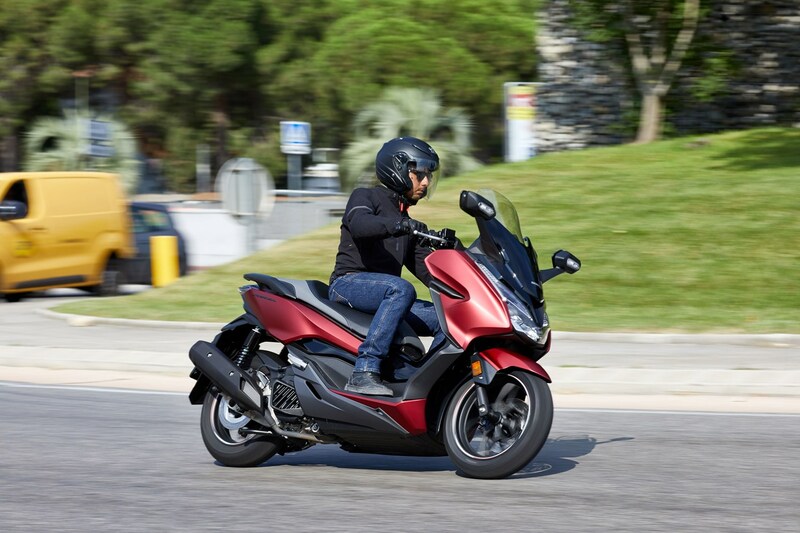 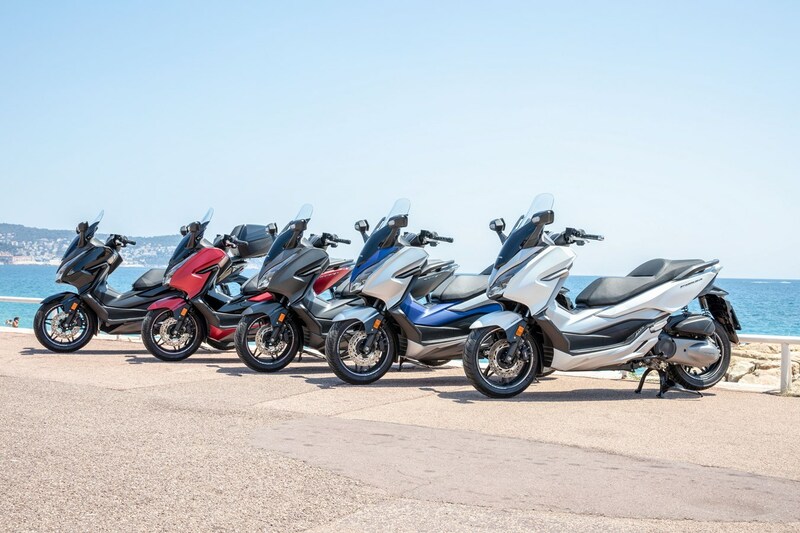 Book scooter Honda Forza in Prague or find out rental prices for your period now! 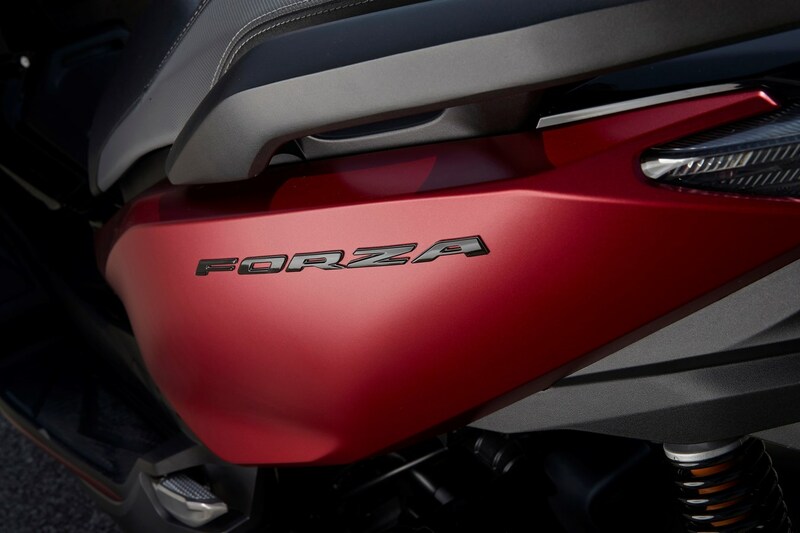 The main ingredients in the successful Forza 125 recipe remain unchanged for 2018: a 4-valve engine that combines class-leading performance with 490km-tank range fuel efficiency and Idling Stop; a lightweight chassis that balances high speed stability with around-town manoeuvrability; and a rich specification that includes LED lights, Smart Key, two helmet storage capacity, and riding comfort for two. The specification and equipment rises yet another level: a new electric screen adjusts seamlessly and provides full wind protection or a stripped-down view ahead while revised instruments serve up extra information digitally, in support of the analogue dials. 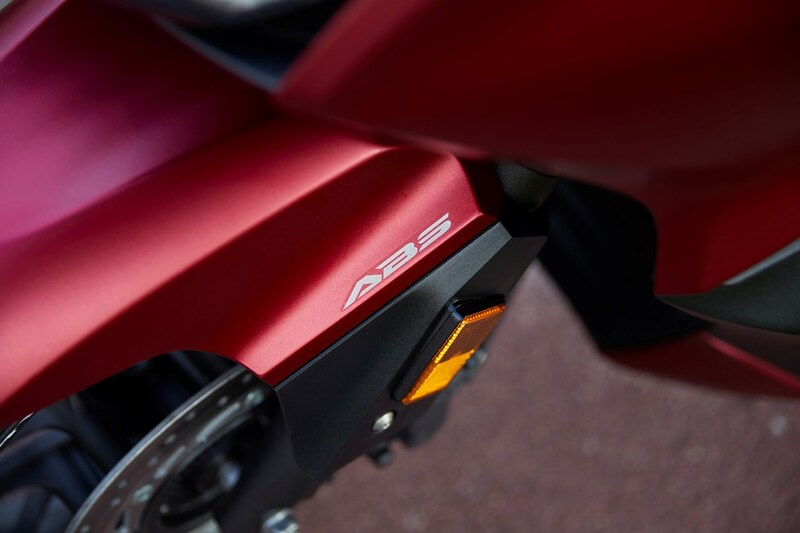 Both front and rear indicators are now LED, underseat storage space increases by 5.5 litres, while the Smart Key now also offers control of the optional 45-litre top box.